SE Healthcare Data Analytics and Solutions > JUDI L. OLNICK, C.P.H.Q. Judi Olnick has more than 30 years of experience working in the areas of health care quality, patient safety and risk management. A Certified Professional in Healthcare Quality (CPHQ), Judi educates and assists with matters including risk assessments and recommendations, safety programs, quality plans and related performance improvement measures. Judi has extensive experience working as a consultant to health care clients, providing risk reduction and prevention education and assisting with risk evaluation and mitigation. Judi’s prior experience in the acute care hospital environment includes positions as Director of Risk and Quality Management and Patient Safety Officer, as well as Regulatory Compliance Officer. In these positions, she developed and maintained risk management, performance improvement and patient safety programs. Additionally, she provided administrative leadership by Chairing Risk Management, Safety and Performance Improvement Committees, as well as serving on a host of medical staff and administrative committees including Ethics, Infection Control, and Institutional Review Board. She has extensive experience in safety and risk mitigation strategies in the physician office setting having conducted hundreds of practice risk assessments and providing recommendations and strategies for improvement in patient safety, risk and quality of care. Judi is involved in numerous organizations, including the American Society for Healthcare Risk Management, the Central Pennsylvania and National Associations for Healthcare Quality. 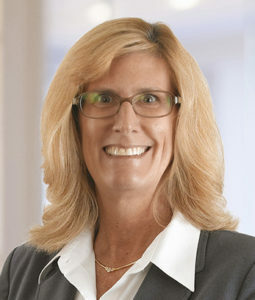 She has also served on the Hospital Association of Pennsylvania’s Patient Safety Ad Hoc Work Group and the Risk Management Steering Committee of CHART Services, Inc. She is a Past President of the American Cancer Society Mifflin-Juniata Unit, and Board Member of the Lewistown, PA Abuse Network. Presently, she serves as Quality Improvement Advisor to Fame Emergency Medical Services Lewistown, PA.